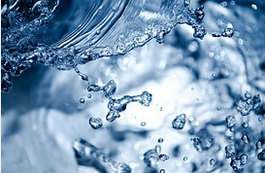 Do you know why we should be using a water softener system in Calgary? Water hardness is caused by the presence of two main minerals- magnesium and calcium in ground or surface water. If either of these minerals are present in drinking water i n high levels, the water is considered hard. These minerals are dominantly found in limestone, which dissolves in river systems. • The minerals can build in taps and other appliances easily. The hardness of water in Calgary varies seasonally and by location. During spring snow-melt, hardness levels are generally low, while high levels are between December and January. The Bow and Elbow Rivers, which provide water to different parts of the city, have different hardness levels as well. If you are receiving hard water in Calgary, here are some reasons why you should consider the services of a water softener company. • streaks on clothes and dishes. Softened water however, helps rinse soap residues thoroughly, leaving your items cleaner. Hard water is also not great at working with lather clothes as it creates a lot of scum. Soft water reduces soap you need for cleaning, helping lower the expenses on these products. • soap scum and film on bathtubs, sinks and showers. These surfaces stay cleaner and can easily be maintained when soft water is used. • The deposits can also be found inside appliances such as washing machines, dishwashers and coffee pots. Over time, these deposits clog up the appliances and eventually cause them to break down. If you want to increase the lifespan of your appliances in Calgary, then consider softening the hard water and save the money you would have used to replace a broken dishwasher. Long lasting appliances are also beneficial to the environment as they reduce waste and conserve raw materials and energy used in manufacturing them. • Sulfur is another mineral that can be found in hard waters. It can make someone extremely ill and in some drastic cases, may result to death. However, this is not very common, but it can happen. • Though helpful is the magnesium and calcium, they are only needed at certain levels. Water softeners help remove these minerals and provide good tasting drinking water. The buildup of scaly deposits left by hard water in your home’s plumbing pipes and fixtures can cause corrosion and clogs that shorten the plumbing system. Water softening systems reduce mineral deposits by minimizing their buildup and reduces corrosion and clog risks as well. This greatly helps in extending the life of your plumbing system and helps the fixtures operate more effectively. Hard water can cause mineral buildup on the body, interfering with soap lathering so the skin and hair do not get clean. Soft water however, not only feels comfortable on the skin and hair, but is generally healthier. Calgary, drinking water, health, water softener, wellness. Bookmark.